Diana Rojas said goodbye to her little girl and left for a meeting, and was never seen again. 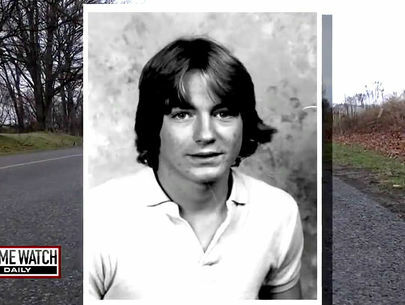 Now police say a phone call from a mystery person may finally help solve the case. A beautiful young mother mysteriously vanishes in the middle of the night in October 2000. "She had no enemies," said Solomon Cortez, Diana's brother. Her worried family wonders where on earth Diana could be. "Not one person has heard anything from Diana," said Long Beach Police Detective Mark Bigel. "That just is not right." And then an anonymous phone call pierces the family's heart. "The tip came in of the fact that Diana Rojas's remains were buried somewhere in the desert," said Det. Bigel. Now police in Long Beach, California are no longer looking for Diana Rojas -- they're searching for her body. "This is went from a missing-persons report to an active homicide investigation," said Bigel. Diana Rojas, 27, had a big heart and an even bigger family, with 11 doting sisters and brothers. "She was always one to want to want to help and care," said Diana's brother Solomon. But Diana's mother, Bertha Cortez, says the light of Diana's young life was her 2-year-old daughter Mercedes. "Her daughter was her world. 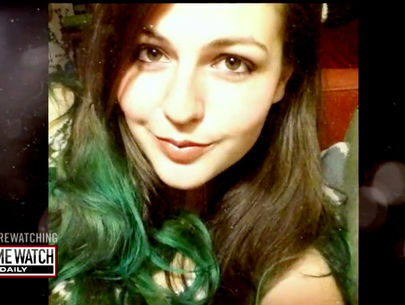 She didn't love her daughter -- she adored her," Bertha told Crime Watch Daily in Spanish. According to Detective Mark Bigel, just about the only person Diana ever had any trouble with was her estranged husband Americo Rojas. "Americo and Diana were going through a very, very volatile divorce," said Bigel. Americo was a combat engineer with the 58th Cavalry stationed at Fort Irwin, California, located in the desert about 160 miles outside of Long Beach. His job was operating big-diggers and bulldozers. "There was also a custody issue in regards to Mercedes," said Bigel. "The courts at that time had given Americo Rojas custody every other weekend when he was away on leave." Diana's mom says her daughter was terrified every time Americo took little Mercedes. "When she gave her to him she would always get nervous. She got tense, sad," said Bertha Cortez. So Diana decided to fight for full custody. She even took a job at a local church to help pay for mounting legal bills. "Diana Rojas was in no means a wealthy person," said Bigel. "She worked to afford to hire a private attorney to go to court once a month, twice a month, to show the judge that she wanted full custody." The church where Diana worked also doubled as a women's shelter. She often helped battered mothers there. That's something her co-workers claim Diana sadly knew all too much about. "Many of the staff from time to time that worked here would actually hear him on the phone when he called her from time to time, screaming and yelling and threatening to hurt her," said Judy Howard, who worked with Diana Rojas. "She had once told us that he had broken her arm and that she had a restraining order against him." Crime Watch Daily has an uncovered that restraining order that's never been revealed to the public before. In it Diana makes allegations, claiming Americo assaulted her, stalked her, and at one point, stating: "He grabbed my arm and forced me to himself against my will. He said 'Hug me and kiss me.' I told him 'Leave me alone, I don't want anything to do with you.'" She also claimed he had a history of violence and drunkenness. "He owns three firearms. Because he is a violent and angry man, I am fearful for my life and the life of my two-year-old daughter." Americo Rojas has never been charged with any crime related to the alleged abuse in the restraining order. But Diana's love life seemed to be getting better. She'd fallen head over heels for a man she met at the church where she worked: David Howard, who happened to be the pastor's son. "My son David was deeply in love with Diana," said Pastor Al Howard. "I sincerely believe they would have been married had this not happened." What happened on that Friday night now haunts the pastor's son. Diana was ordered to turn over little Mercedes to her dad for his court-appointed weekend visitation. As part of their living arrangement, Americo paid for two condos inside a complex -- one condo for Diana and Mercedes. The other he shared with his sister when he was on leave from the Army. At around 7 p.m., Diana walked across the courtyard and handed Mercedes over to Americo. Bertha Cortez says her daughter Diana was more upset that night than usual. "I told her, 'Daughter, everything is going to be OK,'" said Bertha. "I didn't think that that would be the last time I saw my daughter." According to police, Diana then had a date with David. The pastor's son tells police that he left Diana's condo around midnight after she fell asleep on the sofa. He says he vividly remembers locking the door behind him. It's the last time Diana Rojas was seen. "I remember being at home asleep in my bedroom, and I heard a commotion, and it's David, and he's saying that Diana is nowhere to be seen and she didn't show up to work," said Solomon Cortez, Diana's brother. Police search Diana's apartment. They find a small amount of Diana's blood on the sofa, and something very bizarre: a bandana soaked in what cops believe to be urine. Adding to the mystery, there was no forced entry. And Diana's black pickup truck is also missing. The investigators on scene that day conclude the young mom simply took off. Mark Bigel, the detective working the case now, is puzzled by that. "I just don't buy it," said Bigel. Detective Bigel doesn't believe Diana left that night of her own free will. "All of the people that we've contacted, everybody says that she would not have just walked away from Mercedes and left her behind," said Bigel. And something else didn't add up. "It's what happened to the car. The car leaves a paper trail and it has not been seen, not a scent of it at all," said Bigel. "That strikes me as odd." So Long Beach Police detectives question everyone. "The boyfriend, David Howard, was spoken to, along with Diana Rojas's ex-husband Americo Rojas, along with various other co-workers, and each of them accounted for their whereabouts at the time she went missing," said Bigel. Every single person has an alibi. And with that, Diana's case sadly goes ice-cold. Then not days, not weeks, but years later, an anonymous tip from a male caller turns this cold case desert hot. "They said it's homicide, and they said her body may be buried in the desert somewhere," said Solomon Cortez. 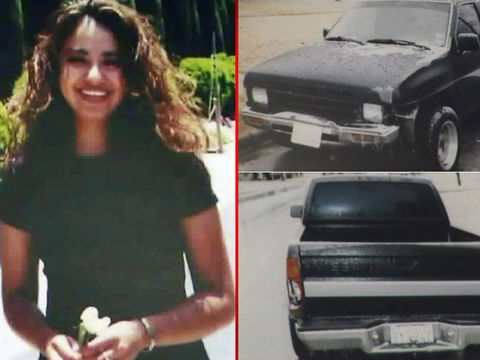 Diana Rojas was going through a divorce at the time of her disappearance. However, police say her husband is not a suspect. Rojas was last seen on Oct. 20, 2000. In 2016, investigators received an anonymous call saying they know where Diana is. An unidentified man calls Long Beach Police claiming Diana's not missing -- she's been murdered. "We had an anonymous tip that came in in regards to where the remains of Diana Rojas was buried," said Long Beach Police Detective Mark Bigel. Detective Bigel says the caller gives specific details about where to find Diana's body. He tells cops she's buried on the outskirts of Ridgecrest, a tiny town outside of Los Angeles near the Mojave Desert. "There is no way to figure out who it is that made the call then, so to do our due diligence, since this is an anonymous tip and it was leading down that road of 'It looks good,' we needed to check it out," said Bigel. Long Beach Police officially reopen Diana's cold-case file with a tall task, trying to figure out who would want the young mother dead, and why. "At that time there was no key suspect, of course they were looking at one person, in particular David Howard, because he was the last one to see her alive," said Bigel. Brother Solomon also believes it had to be someone close who took his big sister. "Whoever did this to her, in my opinion, had to be someone she knew," said Solomon. "Someone she knew, someone who knew about her." Bigel begins searching for a connection between Diana and the town of Ridgecrest. Then it hits him: Ridgecrest is directly across the desert from Fort Irwin. "Her husband, Americo Rojas, was at that time a member of the United States Army, who was also living at Fort Irwin," said Bigel. Americo, an Army engineer, just happened to operate earth-movers and diggers. And remember, the tipster told cops Diana's body was buried in the desert. And her black pickup truck was missing. This was a couple going through a nasty divorce and a bitter custody battle with Diana over their young daughter Mercedes. But Americo had an alibi for the night Diana disappeared. He told police he was at his sister's with his daughter. He has never been named a suspect in Diana's disappearance. But something still doesn't sit quite right with Detective Bigel. So he began to dig deeper. There are three things that have really raised his suspicions. Cops claim Americo had been trying to take out a $300,000 life insurance policy on Diana after she had gone missing. Then police say they can no longer confirm Americo's alibi that he was inside his apartment with his daughter. But the most alarming red flag: Detectives say an Army buddy told his superiors at Fort Irwin that Americo often bragged that cops would never find Diana. And Bigel says with that information, and the fact Americo operated earth-movers, he now believes Diana's missing pickup truck could be buried with her in the Mojave Desert. "The vehicle has never been turned up," said Bigel. 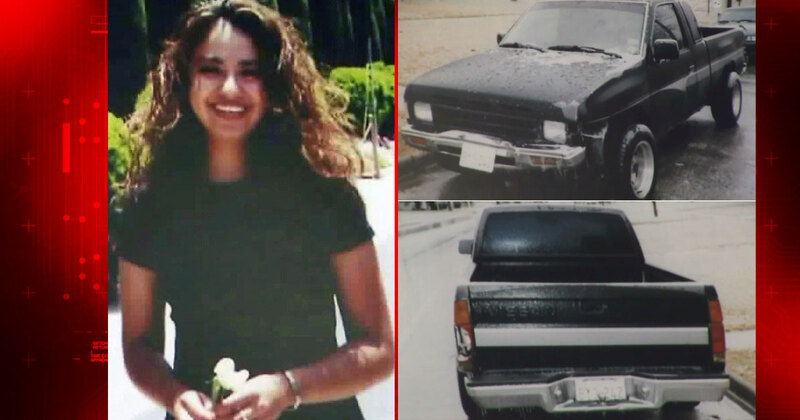 Diana Rojas's vehicle, also still missing, was a 1992 black Nissan pickup truck with extended cab and white pinstripes, officers said. It had a Texas license plate, BY3242, and the driver’s side door lock and radio are missing. But finding Diana's body and any buried clues in the middle of the desert, even if she was inside her pickup, would be like searching for a needle in a haystack. "We went out to Ridgecrest and we noticed the area that was given us from this anonymous caller was a very large swath of desert," said Bigel. "She could have been buried anywhere in this in this swath." But there was one last shot: a Colorado-based forensic-investigation company called NecroSearch. "They do volunteer work for police departments in order to find clandestine graves," said Bigel. NecroSearch uses satellite imaging and cadaver dogs to sniff out bodies no one else seems to be able to find. "We sent them these satellite images, and they sent me back a picture with 11 anomalies," said Det. Bigel. Anomalies are geographic changes that can only be detected by satellite imaging. So theoretically if someone buries a body or a truck, a satellite map would look noticeably different from one day to the next. "I then went out to this one area, and they kind of gave me a checklist of what to look for in this area. I was able to kind of narrow down the 11 anomalies to five anomalies," said Bigel. "So I brought out cadaver dogs, we ran them through their processes, and three of the cadaver dogs showed interest on the one anomaly that NecroSearch basically said would be the best one out of all of them." But what was unearthed turned out to be more heartbreak for the already devastated family. "There was nothing," said Bigel. Americo Rojas still owns a home in Long Beach. He's cut off all ties with Diana's family. They haven't seen daughter Mercedes since Diana went missing 16 years ago. "She was raised by her father and today she's 18 years old," said Solomon Cortez, Diana's brother. 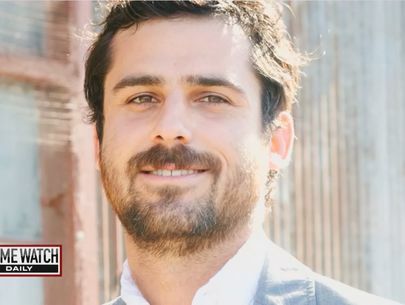 Crime Watch Daily reached out to Americo, but he has not responded. Police tell us he has always said that he had nothing to do with Diana's disappearance. He has never been charged. 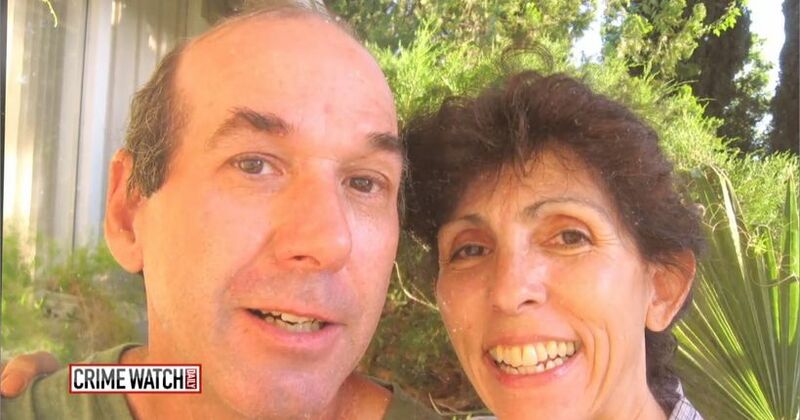 Detective Mark Bigel still believes Diana is buried somewhere out there in the Mojave Desert. 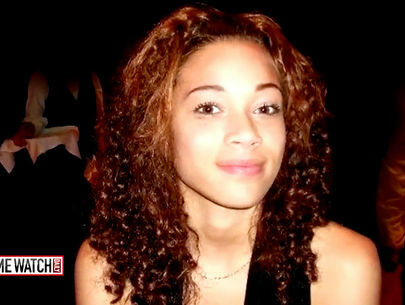 Diana's family spends every day hoping this will be the day police find her and bring her home. "You never forget, you find a way to just keep going forward, but you always are looking to get closure," said Solomon. Anyone with information about Diana Rojas or her vehicle is urged to contact Long Beach Police homicide detectives at (562) 570-7244.